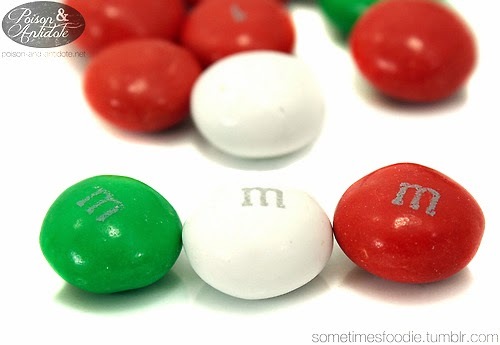 This year Mars release these mint chocolate m&m’s AND white chocolate peppermint m&m’s. I bought both to see if one was more minty than another. The bag is made of a slightly thicker plastic than all the Hershey’s Kiss bags I have opened recently. I really like the overall design and color scheme, it's festive without being obnoxiously so. 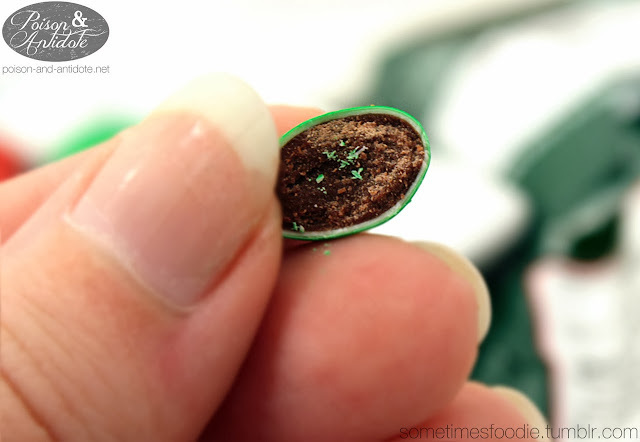 As far as mint, these aren’t very strong. The flavor is very subdued. It also doesn’t leave a very lasting mint-feeling in your mouth. 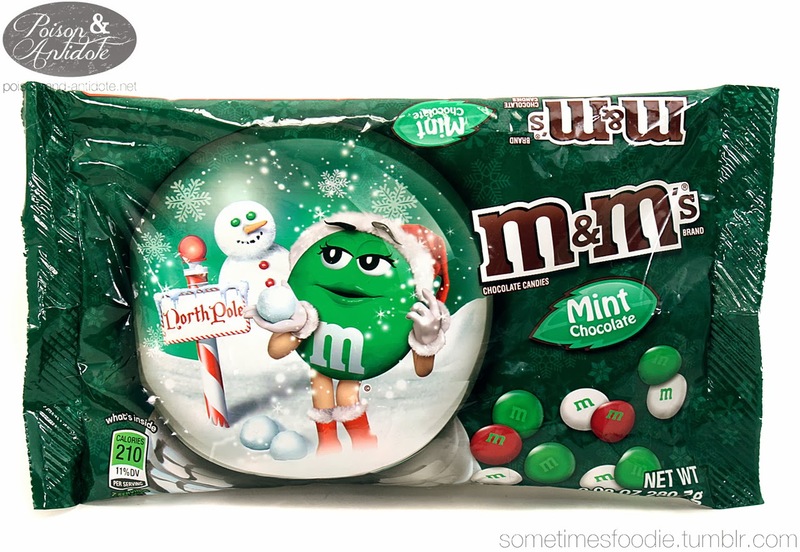 I think these would be great in holiday baked goods, because they are chocolatey and subtle, but I prefer the mint Kisses to these m&ms.